I just got back from a pleasant evening in the theater with a few friends. “Pleasant” is what I’m buzzing on right now; it’s what I needed tonight. 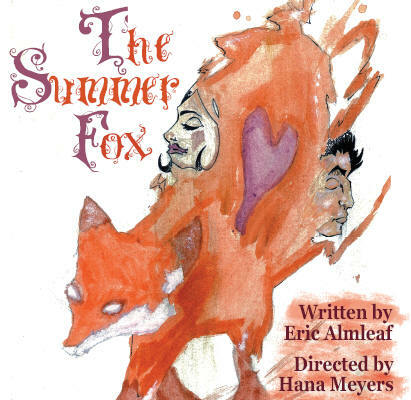 Eric Almleaf’s original play The Summer Fox premiered at Rome Community Theater last year, but I missed that run. Players of Utica is presenting the piece this weekend, and only this weekend. If I’d seen it yesterday, I could have written there are two more performances; I made the wrong choice about what to attend last night and if you haven’t seen this show yet I’m going to insist you attend the matinee on Sunday. 2:00, write it down. Almleaf’s scenario is based on Japanese folklore, and it plays like a fable. Afterward, I discussed alternate interpretations with my fellow theatergoers – a good sign the playwright is on to something. Hana Meyers directs the action simply but surely, on a set that’s dominated by a single tree (nice) and flanked by a hospital bed and a bench. The lighting (Art Felshaw) and sound (Almleaf) are likewise simple and unobtrusive. See this show, and we’ll talk about it afterward.